Today, consumers from New York have the option to choose their own electricity and natural gas suppliers for more competitive energy rates. We are a local consulting company dedicated to connecting you with lower energy prices. The market is filled with choices, and we want to help you make heads and tails of it all. Service area and email or phone number to schedule a phone call. 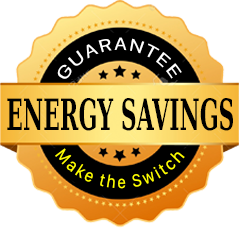 We verify your information and current energy supplier. Then, we connect you with the best Certified Energy Supplier in your area. An Energy Supplier representative will contact you with the service details and how they will help you Lower your energy bills. New York Electric Consultants diligently connected me with an electric company that would ensure savings. I didn’t realize just how much money I could save by having the right provider. Currently, you have the option to choose your own electricity and natural gas suppliers. The beauty of it? After switching energy suppliers, you won’t notice a thing. The only difference you’ll notice will be the savings on your energy bill. Before energy deregulation; local electric and gas utility companies controlled the whole energy process from generation to transmission to distribution. The only option the consumers had for their energy was their local utility company; it was a monopoly marketplace, there was no choice, and the price was regulated by the government. Once the energy deregulation was approved by the government; it created an open marketplace for customers to shop and choose an energy supplier with more competitive rates and allow consumers to save money in their utility bills. Today, “Electric Company Consultants” is helping consumers find lower electric and gas rates in the local open marketplace to help you save money. If you live in one of the Energy deregulation areas in the New York State, there are more options for energy users since there are some energy providers that provide energy services.